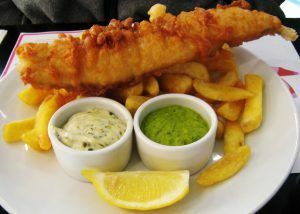 Have you always wondered what part of the dishes you eat in Britain are actually traditional ones? The cuisine of the country has undergone significant transformations over the years, to come to us in all its glory of delicious foods and recipes we know today. There are plenty of dishes that Britons are (rightly so) proud of, and you will do well to try them out. 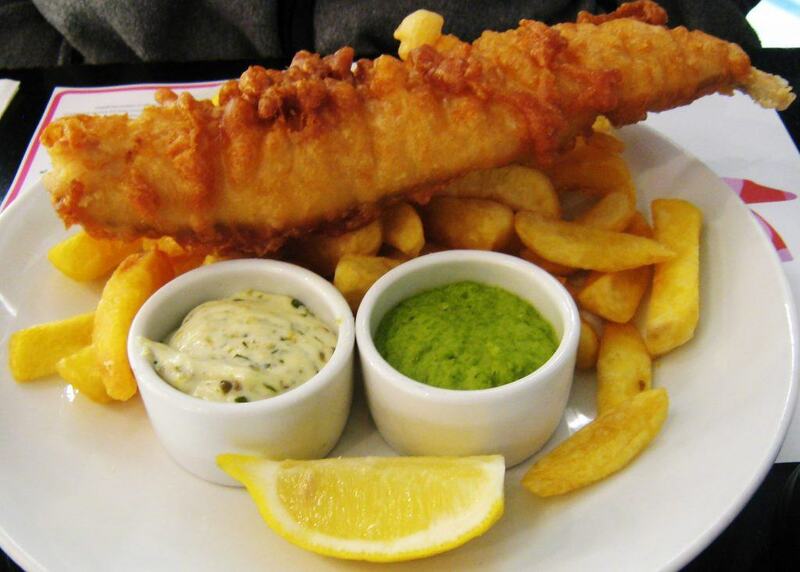 Fish and chips – perhaps one of the most notable Great Britain dishes is fish and chips. It is so popular that it has become an entire category of places to eat. It is a very simple dish – you have breaded fish and fries. A lot of people like to have the addition of mushy peas to complement the dish. Black pudding – if the protein is what you are after, then black pudding will quickly become one of your favourite superfoods. Essentially, this is a mix of oatmeal, pork fat, onions and some blood. It is very rich in potassium, protein, magnesium and calcium. Being almost carb-free makes this a beloved choice for many people in the UK. Eccles cake – this dish bears the name of a Greater Manchester town. Despite this, they aren’t protected by their geographical status and can be made pretty much anywhere. The cakes are small and usually round. They are made with flaky pastry and are filled with delicious currants. Cullen skink – this thick Scottish soup will surprise you with its rich flavour achieved with onions, potatoes and haddock. It is the ideal thing to have on cold days. It originated from Cullen (Moray, Scotland), where fisherman would warm themselves up after a day at work. Scotch egg – heading for a picnic? 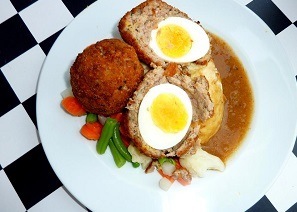 Don’t forget to take some Scotch eggs, which make for a lovely addition to the menu. The dish consists of hard-boiled eggs surrounded by sausage meat and bread. All of this is then deep-fried or baked. Traditionally served hot with gravy. Kidney pie and steak – according to the majority of Britons, this is comfort food at its finest. It involves traditional pie made of beef broth. Cornstarch or flour is added to the mix to thicken the dish. Usually, there is stout and ale added to make things superb. Now you know why people find this such a great food. Yorkshire pudding – Yorkshire pudding often wins prices for UK’s best regional dishes. This batter dish is made with flour, eggs and milk (or water). Gravy makes it taste delicious, which is precisely why people usually have them together. Shepherd’s pie – the name of this dish first appeared in 1877, and since then has been in use for this traditional dish. Some people call it cottage pie. It features meat, usually lamb or beef with a crust of mashed potatoes. All of these traditional dishes are worth your attention. If you are a cooking enthusiast, you should try them making them at home.